We can discuss for hours how to prevent of sickness from appearing during our expeditions. From allergic reactions, to gastric infections and diarrhea, constipation, cold, Khumbu cough, blocked nose, eye dryness and infections, ear infections, gynecological problems, insect bites, blisters, cuts and small traumas. 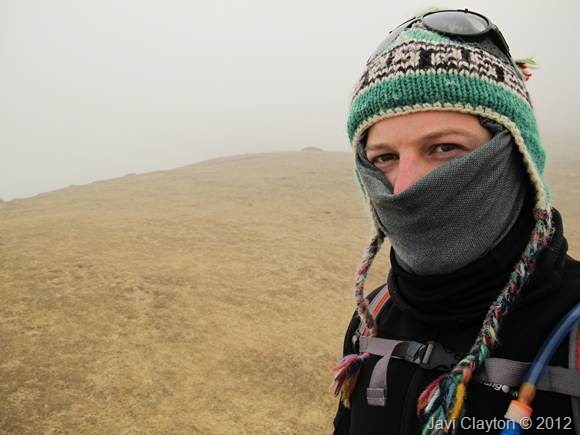 These are the most common heath issues you are most likely to experience during the course of any expedition, but on high altitude climbing the real challenge is how to prevent and fight altitude related illnesses, such as Acute Mountain Sickness (AMS). 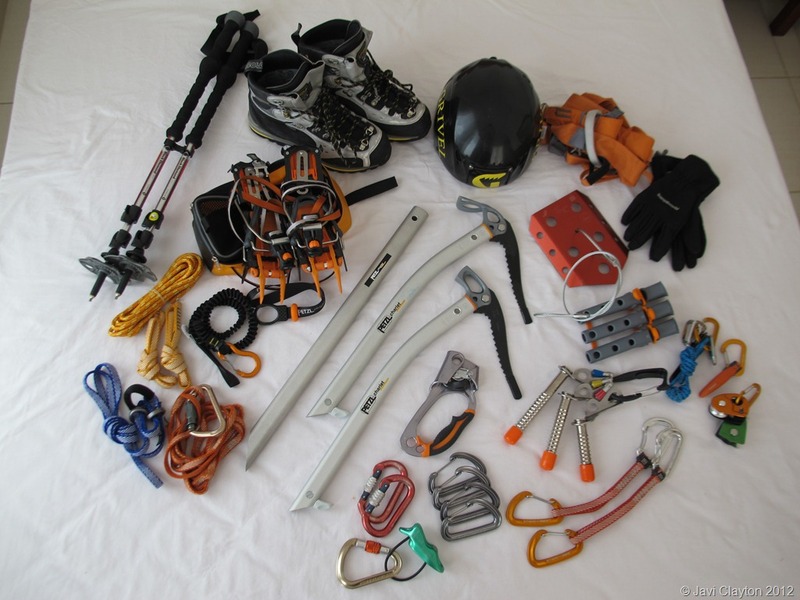 There is a long list of places in the Internet where to find information on how to build a first aid kit, but I found quite difficult to find a comprehensive list of what to include in the kit for high altitude expeditions. 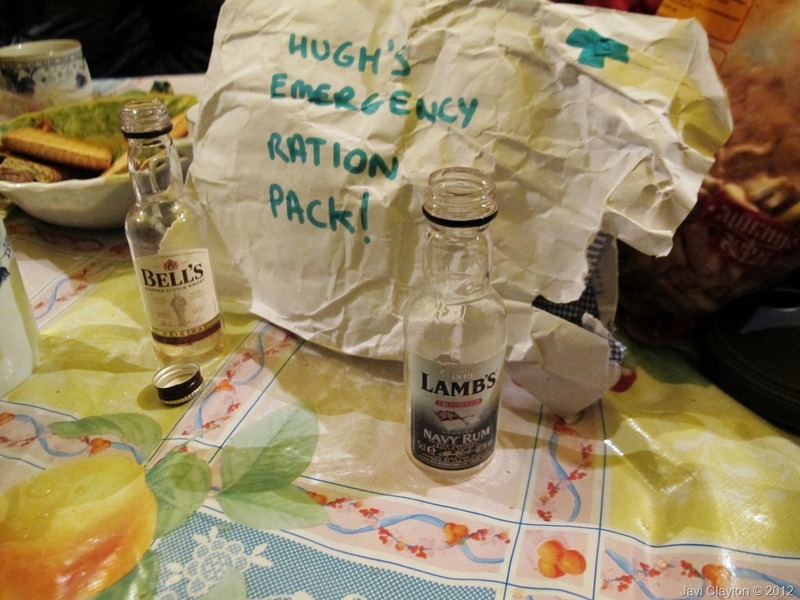 During most of the big climbs I’ve done, I relied on my basic first aid kit for generic health issues such as most of the things mentioned in my previous line. 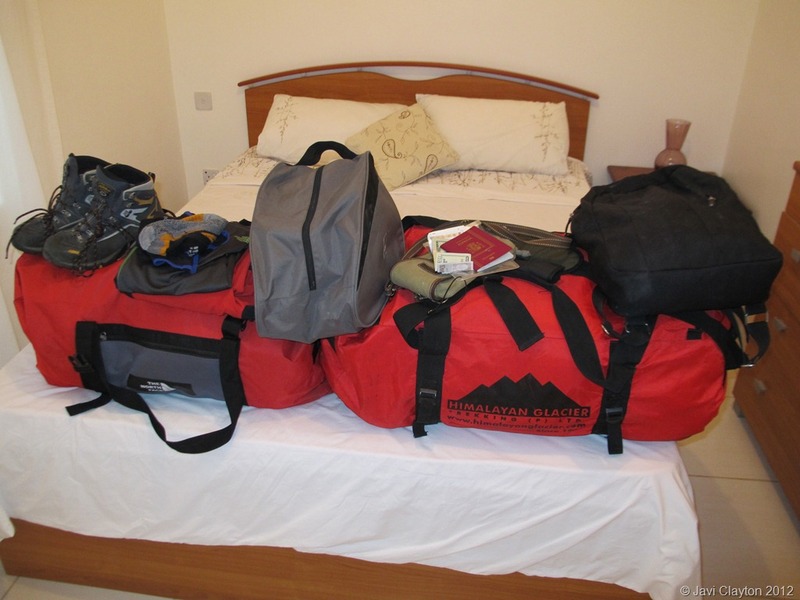 For my biggest challenge ever, Khan Tengri 2012 Expedition, I had the same kit with extra medicines, and for high altitude sickness I relied on the big medical kit we carried as a team during the expedition. This, when I see it retrospectively, is a mistake for two reasons. 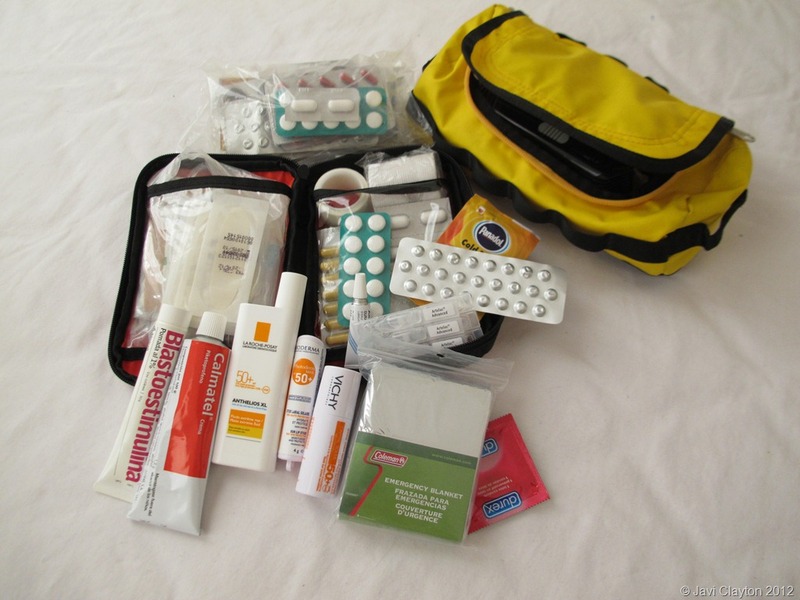 A communal medical kit might not have enough supplies for several climbers falling ill during the course of the same expedition. And secondly, you might have unexpected reaction to some of the drugs included in the kit. During that expedition we were lucky to have two doctors in the climbing team, but most of the times you have to rely in your or someone else’s knowledge when fighting sickness. 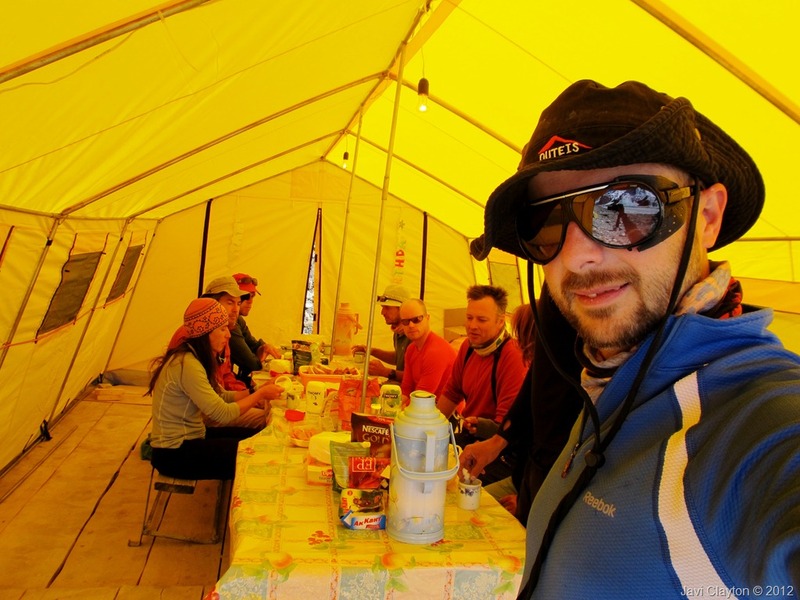 In big and complex commercial expeditions, such as the ones carried out to the eight thousanders, medical consultancy is included or available as basecamp service. However you should not expect the yaks to carry up a whole pharmacy. In places like the Khumbu Valley in Nepal is not difficult to find doctors climbing or working in some of the most transited villages. However they are not always are fully stocked with drugs and they must charge you accordingly. Bring your own kit and you’ll be better prepared to fight illness and make it to the summit and back home safe and happy. 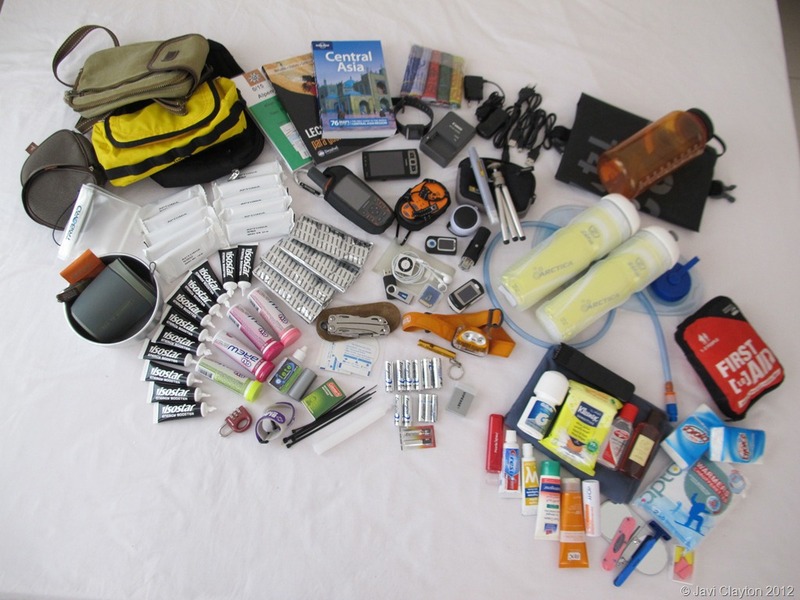 This post contains a list of things to include in your personal medical kit / first aid kit. It is highly advisable to go through the list with your doctor and make sure none of the medicines are contraindicated considering your medical history and current condition. You should get guidance on how to administer each medicine and carry instruction written in a piece of paper stored in the kit. In certain circumstances you might be unable to think clearly, and these instructions should be easy to read and understand by you or your climbing partners. Some directions on the dose are included here, but all this information is to be carefully reviewed and discussed with your doctor. This list is designed for someone very healthy like me (thanks god! ), and it does not consider certain pre-existing conditions such as diabetes, asthma, epilepsy, allergies, high blood pressure, etc. For certain destinations some of the medicines can get you into legal issues, so it worth investigating that in advance, and carrying a letter from the doctor if necessary. I have divided the list in two sections. The first one contains things that must be included in the kit as bare minimum, it’s the kit you must carry with you at all times to cope with emergencies. The second contains a list of extra things that will help you fighting other common illnesses and will make your trip more pleasant by helping with minor issues. Paracetamol – 500mg tablets, two every 4-6h, 20 per person – To treat many conditions such as headache, muscle aches, backache, toothaches, colds, and fevers. Aspirin – Used as an analgesic to relieve minor aches and pains, as an antipyretic to reduce fever, and as an anti-inflammatory medication. Calmatel (Piketoprofen) – 60g ointment tube – Analgesic, antipyretic and anti-inflammatory preparation. Ideal to treat small traumas. Blastoestimulina – 50g ointment tube – Cicatrizant and antibiotic preparation. Ideal for cracked skin on hands, and the typical infections around the nails, or skin irritation between legs. Supralax Senna constipation tablets – To be taken in the evening, prior going to bed – A natural herb laxative, helpful in treating constipation. Depending on your skills you may want to include other items such as scalpel, synthetic suture and vinyl globes. You can also purchase one First Aid Kit designed for outdoor activities, such us the Lifesystems Mountain First Aid Kit and complement it with some of the things listed in this post. Basic Lifesystems First Aid Kit with some additions and the extra kit with essential things such as the emergency condom. Lifesystems products are distributed in UAE by Global Climbing, the main distributor of outdoor adventure brands in the Middle East. Global Climbing is also the regional representative of Walltopia climbing walls and HRT, two of the worlds largest and most innovative companies working with artificial climbing structures. All products distributed by Global Climbing can be found in many places in Dubai, but the one shop stop for outdoor enthusiast is Adventure HQ. Located at Dubai’s Times Square Centre, it is the ultimate destination for outdoor adventure gear. Visit your doctor at least six months before you leave for your expedition, get a blood test done to make sure you are doing fine with things like glucose and iron levels, which can seriously affect hemoglobin saturation and oxygen delivery at high altitude. 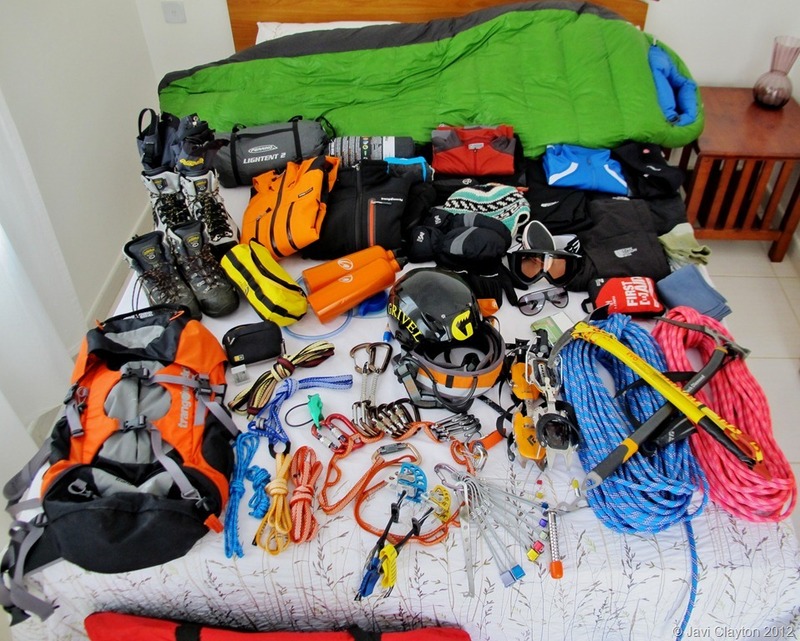 Have a full dental check and cleaning done before departure, a minor dental problem at sea level can become a serious issue in a long high altitude expedition. If you suffer from eye dryness like I do, I recommend you to visit your ophthalmologist one week before departure to have you eye lids and tear ducts cleaned. That prevents the awkward dryness and ophthalmological issues from appearing. I did that before my last expedition and I climbed with fresh eyes and no bothering during the whole trip. Make everybody aware of your medical conditions, the symptom and treatment. Your illness could become a risk for everyone in your group. If you need especial medication make clear labels and instructions, have spare supplies and split the kit to lower the chance of losing it all. Ask your doctor to prepare an official letter, explaining your condition, treatment and contact details. Consult with you travel nurse about vaccinations and make sure these are not contraindicated for high altitude climbing. BE HONEST WITH EVERYONE ABOUT CHANGES IN YOUR MEDICAL CONDITION. If you get sick, make an effort not to spread viruses and bacteria among all expedition members. You should observe strict hygiene using sop and hand disinfectors regularly, especially when entering in mess tents and other communal areas, and when leaving the toilet. If you take medicines, write down everything and changes in you condition. Our mess tent in Khan Tengri basecamp, a festival for viruses and bacteria. Entry was prohibited without washing hands. Acetazolamide (Diamox®) is a medication that forces the kidneys to excrete bicarbonate, this re-acidifies the blood, balancing the effects of the hyperventilation that occurs at altitude in an attempt to get oxygen. This re-acidification acts as a respiratory stimulant, particularly at night, reducing or eliminating the periodic breathing pattern common at altitude. Its net effect is to accelerate acclimatization, it makes a process that might normally take about 24-48 hours speed up to about 12-24 hours. Common side effects include numbness, tingling, or vibrating sensations in hands, feet, and lips. Also, taste alterations, and ringing in the ears. These go away when the medicine is stopped. Since acetazolamide works by forcing a bicarbonate diuresis, you will urinate more on this medication. Uncommon side effects include nausea and headache. 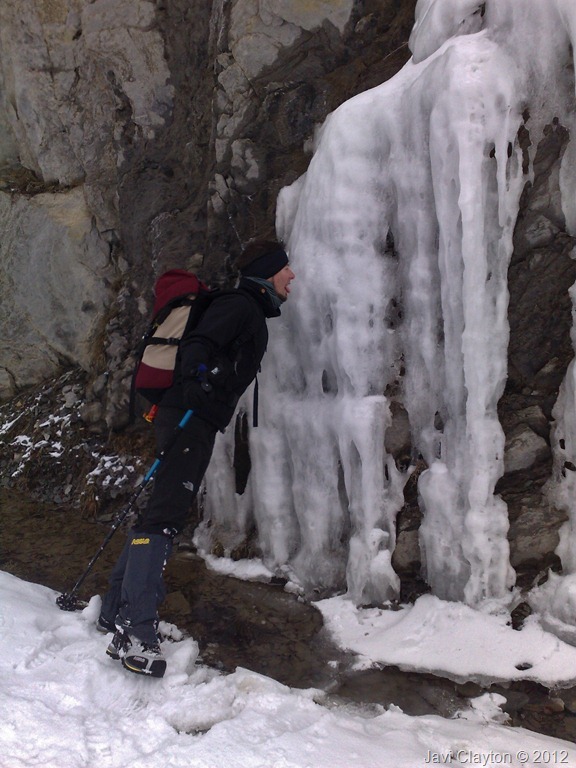 A few climbers have had extreme visual blurring after taking only one or two doses of acetazolamide. It is highly advisable to consult with your doctor and test the medication if possible. Acetazolamide hides symptoms: Acetazolamide accelerates acclimatization. As acclimatization occurs, symptoms resolve, directly reflecting improving health. Acetazolamide does not cover up anything – if you are still sick, you will still have symptoms. If you feel well, you are well. Acetazolamide will prevent AMS from worsening during ascent: Acetazolamide DOES NOT PROTECT AGAINST WORSENING AMS WITH CONTINUED ASCENT. Plenty of people have developed HAPE and HACE who believed this myth. Acetazolamide will prevent AMS during rapid ascent: This is actually not a myth, but rather a misused partial truth. Acetazolamide does lessen the risk of AMS, that’s why we recommend it for people on forced ascents. This protection is not absolute, however, and it is foolish to believe that a rapid ascent on acetazolamide is without serious risk. Even on acetazolamide, it is still possible to ascend so rapidly that when illness strikes, it may be sudden, severe, and possibly fatal. The mainstay of treatment of AMS is rest, fluids, and mild analgesics: paracetamol, aspirin, or ibuprofen. These medications will not cover up worsening symptoms. The natural progression for AMS is to get better, and often simply resting at the altitude at which you became ill is adequate treatment. Improvement usually occurs in one or two days, but may take as long as three or four days. 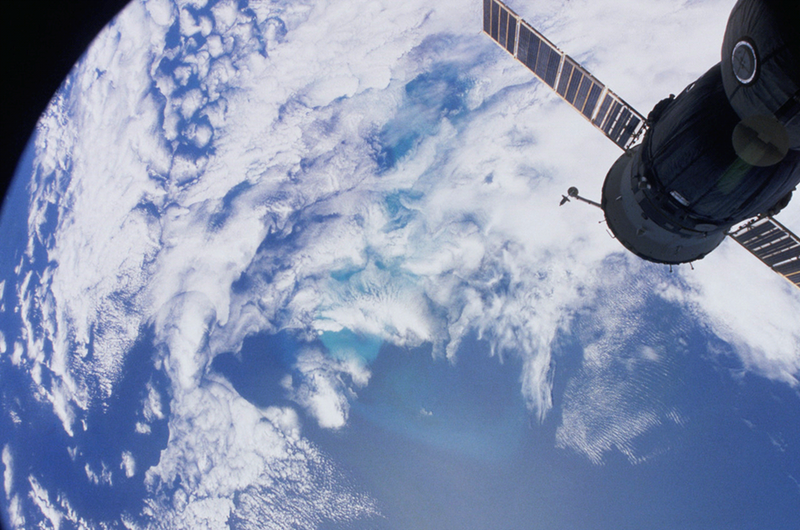 Descent is also an option, and recovery will be quite rapid. A frequent question is how to tell if a headache is due to altitude. Altitude headaches are usually nasty, persistent, and frequently there are other symptoms of AMS; they tend to be frontal (but may be anywhere), and may worsen with bending over. However, there are other causes of headaches, and you can try a simple diagnostic/therapeutic test. Dehydration is a common cause of headache at altitude. Drink one liter of fluid, and take some paracetamol or one of the other analgesics listed above. If the headache resolves quickly and totally (and you have no other symptoms of AMS) it is very unlikely to have been due to AMS. Most of the people involved in regular sports do not realize about the difficulties that we mountaineers find along the way to the summit when it comes to having drinking water available at all times. During approach is normally easy to obtain water from rivers or springs, and in some civilized areas you’ll be able to get it in teahouses or similar places. Most of the time, these water sources are contaminated with various bacteria, viruses and protozoans. This becomes a real risk on areas where there is a prominence of farms and domestic animals, such us cows or yaks. Even in virgin mountain ranges like Jemtin Bel in Kyrgyzstan, where I was doing several unclimbed peaks this year, you might find the rotten body of a wild horse contaminating the pristine water sources. Microorganisms generally come from human and animal waste and are spread by rain and run-off. Disinfectants destroy micro-organisms and thereby prevent the transmission of pathogens. The following substances and processes are allowed in the treatment of water: chlorine, chlorine gas, chlorine dioxide, iodine, ozone, silver and ultraviolet (UV) sanitizing. There are different products available in the market, but the one I found more effective and convenient is Micropur Forte disinfection tablets produced by Katadyn. These can be found in many places, but my favorite megastores are Decathlon and Globetrotter. Decathlon is a major French-based sporting goods retailer operating hundreds of stores worldwide and serving 100 million customers every year. The start in France was with a shop in 1976. In the 90s, Decathlon expansion covered the rest of Europe and almost two years ago, in December 2010, the first Decathlon store in the Middle East was opened at the Mirdif City Centre in Dubai. Decathlon in Dubai is managed by the Azadea Group, a leading fashion and retail company present in the Middle East and North Africa, managing more than 45 international brands. Silver ions combined with chlorine.Its technology is based on silver ions combined with chlorine, but it also contains Sodium dichloroisocyanurate wich is more expensive but more efficient than formerly used halazone water disinfectant. Mechanism of action is the release of chlorine in low concentrations by constant rate Chlorine disinfects water quickly and safely, and silver ions preserves water for up to 6 months. Silver ion/chlorine dioxide based disinfecting agents will kill Cryptosporidum and Giardia, which neither chlorine nor iodine alone can be considered completely effective against. Boling will kill these microorganisms but with Micropur Forte there is no need to boil before treating. It is very simple to use with high degree of user safety. Use one tablet for one litre of clear water, wait 10 minutes until the tablet has dissolved, shake well and wait another 20 minutes before using the water. The light taste of chlorine is almost unnoticeable, and can be completely neutralized with Antichlorine produced by Katadyn other manufactures. I personally find it tasteless when using plastic bottles, metallic ones can become an issue after long periods of time due to the silver ions. It is also ideal for conserving water free of micro-organisms in water tanks, water baths, air conditioning systems, heating systems, humidifiers, etc. The size of the tablets is so small that sometimes is impossible to handle them with globes. Many times I’ unsure I’ve actually dropped one tablet in the bottle or it got lost in between my fingers. Once in the water they are difficult to see. In most scenarios is quite handy to have very small size tablets, but when conditions harden, having big tablets will make things easier. I’d advise Katadyn to produce an alternative version in bigger sizes. If the water is very cold the disinfectant effect slows down noticeably and then it’s important to wait up to two hours. On non-clear water, suspended matter can weaken the effect of chlorine and silver ions. Therefore it’s advisable to use a microfilter like the one produced by Katadyn to treat cloudy water, which is the one commonly found around glaciers. The cost of chlorine dioxide treatment is about four times higher than the cost of iodine treatment. The use of metal container such us the classic aluminum bottles is not recommended since it can interact with the active components altering their properties. I used brand new aluminum bottles with Micropur Forte during my Island Peak expedition, and I noticed changes in the taste and smell of the water after couple of weeks. I used plastic bottles for my Khan Tengri expedition and I see difference, with none of these effects being noticed in four weeks or usage. Using a light system to prepare water will allow you to carry more fuel and drinking water. During my last few expeditions where we climb alpine style, we used gas cylinders and very light stoves. We also used heat deflective panels to improve the efficiency, by protecting the stove from the wind and concentrating the heat in the pan. In my recent speed ascent to Mt Damavand in Iran I used a Vango Ultralight Gas Stove with a large gas cylinder (propane and butane), and a mid-size aluminum kettle and pan. Since this was a fast ascent and we planned to spend the night in a shelter, we decided to save some grams with this system, but when camping outdoors it will be ideally complemented with the Vango Windshield, and bringing two or three small gas cylinders will make more sense. In my Khan Tengri Expedition we opted for the MSR WindPro II Stove with small gas cylinders (propane and butane) for improved cold-weather and low-fuel performance, combined with the Alpine 2 Pot Set that allows preparation of large amount of water for cooking and drink. The decision of using this system was made considering that in this climb we were looking at splitting food, gas and group gear in between teams of two. The Alpine Pot Set is ideal to prepare cooking water in the 1l pan, and once this one is boiled you can quickly switch to the 2l pan to melt snow to refill drinking bottles. 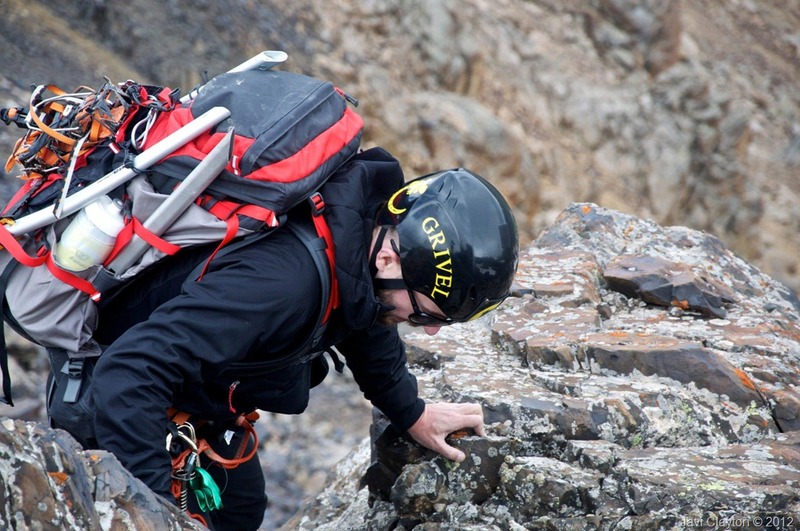 For the hardest conditions and lightest ascents there is a product that I have not had the opportunity to test yet, and it’s growing its popularity worldwide. I’m talking about the MSR Reactor, which features a radiant burner enclosed by a unique heat exchanger for the best performance in windy conditions. It has an advanced pressure regulator which provides optimal heat output over the life of a fuel canister. For maximum portability, the stove and fuel stow inside of a high-efficiency 1.7liter pot. Both MSR and Vango products are distributed in UAE by Global Climbing, the main distributor of outdoor adventure brands in the Middle East. Global Climbing is also the regional representative of Walltopia climbing walls and HRT, two of the worlds largest and most innovative companies working with artificial climbing structures. As for which gas to use, Butane or Propane, there are important differences to consider even though the physical properties of the two gases are similar. Butane is less toxic and contains around 12% more energy than Propane, and so you can squeeze more running time into the same sized bottle. It is heavier, but can be stored in light containers. There is only one disadvantage on the use of Butane against Propane, but for us mountaineers it a big one. The liquid in the bottle must be able to boil into a gas. In the case of Butane, this will happen at any temperature above -2°C, whereas with Propane, this figure is much lower, at -42°C. This means Butane will be useless most of the time, but propane requires heavy steel canisters to safely contain it due to the high vapor pressure at common ambient temperatures. A good compromise between burning efficiency at low temperatures and weight, is the use of blended fuel. The thinner canisters can handle up to about 30% propane, with the remainder being butane. The propane in blended fuels drives the system with its low boiling point, providing vapor pressure while the butane gas is carried along and burned with the propane. However at very low temperatures the propane burns off first, causing performance to drop for the last third of a canister. High altitude however offsets the effect of cold temperatures. The lower atmospheric pressure makes it easier for the liquid fuel to vaporize in the canister and supply the burner with gas. One important point many people don’t take into consideration is that piezoelectric lighters do not work at all at moderate to high altitudes. Some gas stoves include one, but the spark won’t light up, making the system unusable. The voltage produced by the quartz crystal when deformed is too low with low air pressure, thus the spark is not lighted up. Always carry classic lighters, especially the ones producing lots of sparks, such as the old Zippo. Having waterproof matches as a backup is always a life saver. One more thing that worth commenting in terms of efficiency when using water sources, is the type of food we bring up the mountain. I will write a separate article on this, since it a pretty extensive subject, but to for now I just want to mention few points. Food has to be tasty and energetic but we have to be cautious with certain aliments that require big amounts of water to be digested, such as those with high protein/fiber content. And of course avoid the consumption of foods and drinks that force the body to dehydrate, such as alcoholic drinks. If carrying extra weight is not a point of concern, it’s always a good idea to eat food that rehydrates you at the same time, allowing you to safe fuel on the process of preparing food and drinks. 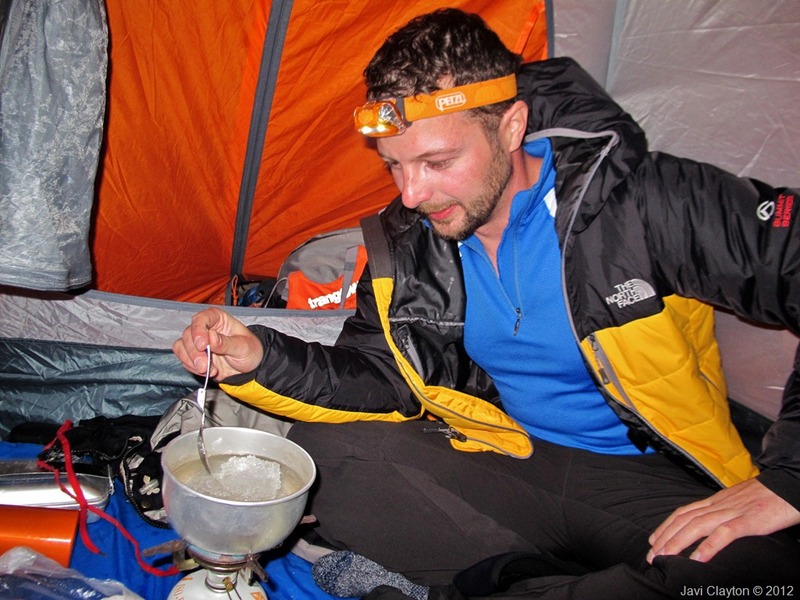 This is the case of almost all fruits and vegetables, but in high altitude expeditions it worth considering packed meals that are not freeze dried, but instead they only need to be heated for few minutes or can be eaten cold. 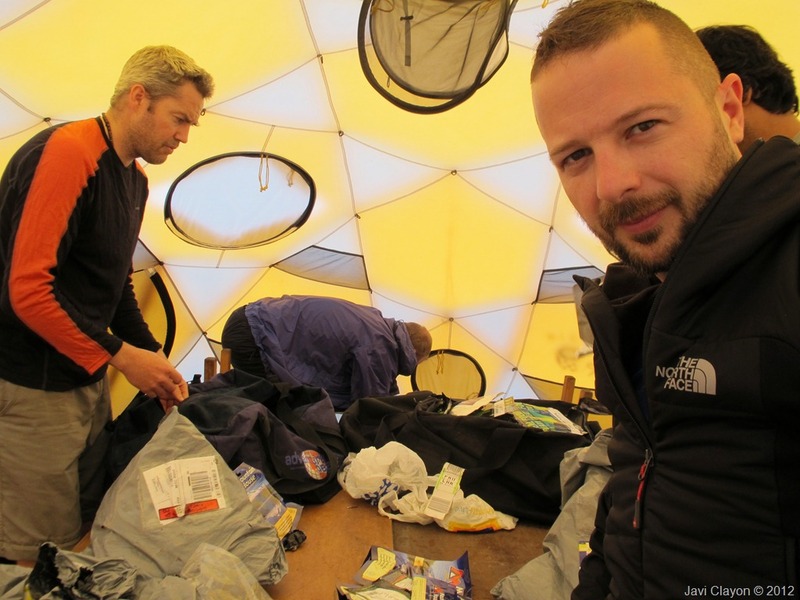 During my recent Khan Tengri expedition, along with the popular Mountain House and extraordinarily delicious yet expensive FuiZion freeze dried food, we had Wayfayrer Meal Pouches ready to eat. I found them very convenient because you can eat them hot or cold as all contents are fully cooked. What you do is melting the snow, removing pouches from protective over-pack and putting a couple of them in the water to warm the food. Then you bring the water to boil, removing the pouches from the pan, and you can eat the food with its liquid contents while drinking the water you boiled in the process. In an emergency, when there is not water or fuel to prepare the classic freeze dried food, you can eat Wayfayrer Meals and that will rehydrate you and give you energy for few hours. These guys have also an alternative packaging for the Hot Food Kits, featuring a Heater System that is triggered when adding water. These are more expensive than the standard one we used, but surprisingly they weight the same, 300g per packet. Sorting out our food packs in the mess tent in Jentim Bel, Kirgizstan. Coming back to our main subject, once the water is treated it has to be stored and transported. There are important points to consider here if we don’t want to end up with surprises when climbing high altitude. Water bottles and containers have to be selected according to different requirements. First the material must be strong and light and able to protect the water from the environment. Metallic bottles fulfill these entire requirements. They do not deform or brake with temperature changes or small impacts. This is extremely important as some other materials can become unusable very easily, which will force us to abandon our climb before finding a replacement. All parts in the bottle must be strong and preferably not detachable. Losing the bottle cap while handling with thick globes will make the bottle unusable. Classic aluminum and steel bottles are quite popular, but they have some problems. Fist the disinfectants, as we already discussed, can react with metal and the water properties will be altered or not sanitized properly. Also the bottlenecks are normally thin which make quite difficult and dangerous pouring boiling water from the pan, or adding purifying tablets or other additives. The caps tend to freeze easily, and those with flip straw become useless below 0°C. Plastic containers such us the Lifeventure Tritan® Flasks are more convenient. They are strong, with wide mouth and attached loop-top that never gets lost, screws on and off easily and rarely freeze. They are made of BPA free translucent copolyester, which is almost impossible to break, odourless and tasteless, allows you to see the contents, and do not interfere with the chemical sanitizers. They are also my favorite pick as pee bottle. For long and demanding expeditions I carry two 1l flasks in my backpack along with a small 500ml Lifeventure Tritan® Bottle. This one I keep it warm and accessible in my down jacket, and I refill it with the contents of the big flasks. It’s easier to drink small zips constantly if the liquid is accessible and not too cold to scare your taste buds. Drinking small zips constantly will keep you hydrated as I discussed in a previous post. The only problem I see with these water containers is that the contents tend to freeze easily, including the one in the pee bottle… A frozen pee bottle cannot be emptied, and believe me, in a very long and cold night in your expedition tent that is not fun at all! 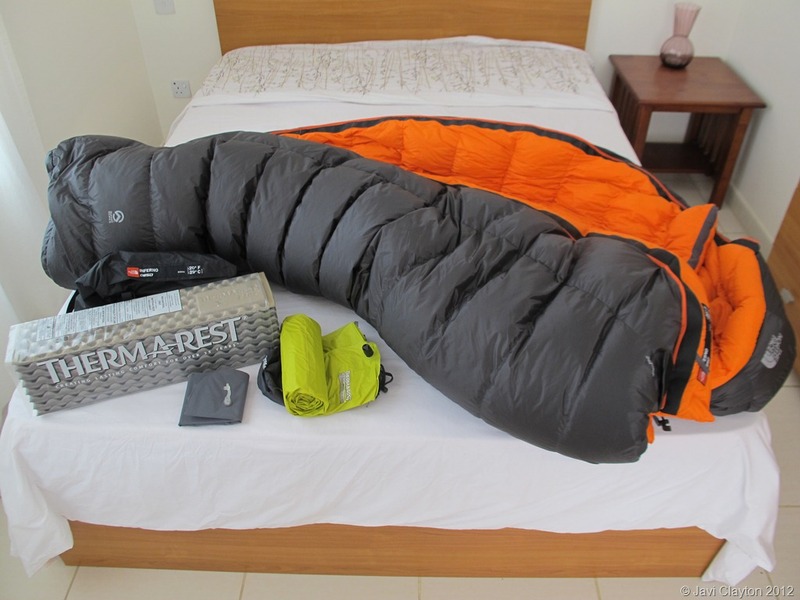 There are thermal covers that can be used with these flasks and bottles, such us the Lifeventure Thermal Mug Jacket that fits the Tritan Bottle. For the pee bottle, a good advice is to use one of these covers for your 1l flask, and after you take the first leak, unseal one chemical foot warmer, stick it to the bottle inside the cover to keep the liquid nice and warm till the morning. Leave some room inside the sleeping bag for water bottles and all gadgets, and use my trick to leave the potty outside. For my Jentim Bel Unclimbed Peaks and Khan Tengri expeditions this year I used a totally new product that is designed by Zefal to keep your drink at an optimal temperature for over 2 hours and a half. And it really worked well! The Zefal Arctica bottle is strong and flexible, with wide opening that hardly freezes, and the insulation is optimal. It’s BPA free, odourless and tasteless, with a capacity of 700ml. Once you fill the bottle with hot liquid, you can leave it outside your sleeping bag, and after ten hours sleeping you’ll find the contents ready to drink. Close to the mouth where the insulation is minimal, you can find some ice, but that can be avoided by adding extra insulation to that part with a cover you can make yourself with neoprene. The inner tank is removable, and between this one and the outer tank there is the same material used in the insulation bags you can buy in the supermarket to transport frozen food. Removing these parts however is not advisable in my opinion, since they are partially sealed at the mouth, and I suspect we can alter the thermal properties of the system. There is something to take care with when using these bottles. The plastic is strong and flexible, but when you pour boiling water in, the inner tank deforms due to the difference of temperature with the outer. The volume then tends to shrink, meaning that we reduce it from 700ml to something around 500ml as per my calculations. When this happens you can always unseal and remove the inner tank and bring it back to its original form using your hands and some heat. Zefal products are distributed in UAE by Sport In Life, distributors of Polar Heart Rate Monitors, 2XU Performance Gear, Nathan Sports, GU Energy and Aqualyte. They have a nice online shop SportSouq.ae and Facebook page to keep us updated with events such as the recent Warehouse Sale or Wadi Adventure competition. Scrambling in the last section of our Unclimbed Peak #1 in Jentim Bel, Kirgizstan. Carrying enough water in two Zefal Arctica bottles. All products distributed by Global Climbing and Sports in Life can be found in many places in Dubai, but the one shop stop for outdoor enthusiast is Adventure HQ. Located at Dubai’s Times Square Centre, it is the ultimate destination for outdoor adventure gear. 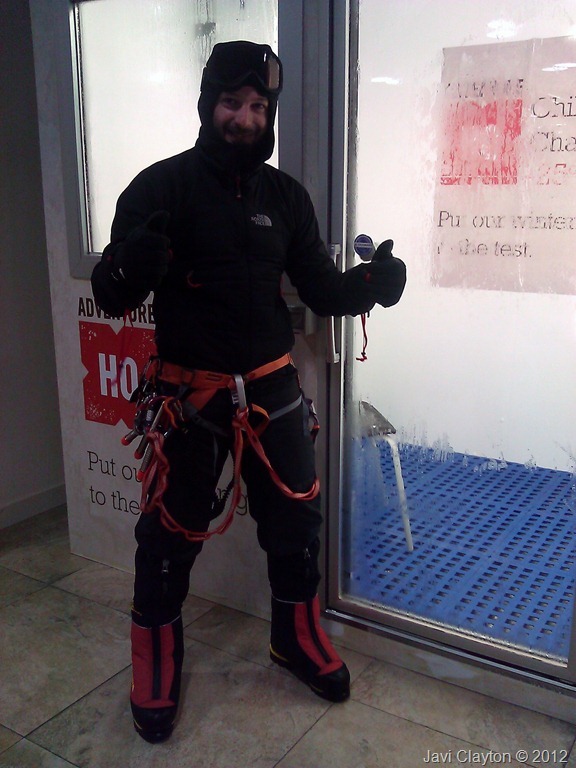 They also have an Adventure Zone featuring the Cable Climb and Climbing Pinnacle, as well as a The Chill Chamber where you can experience -25C temperatures. 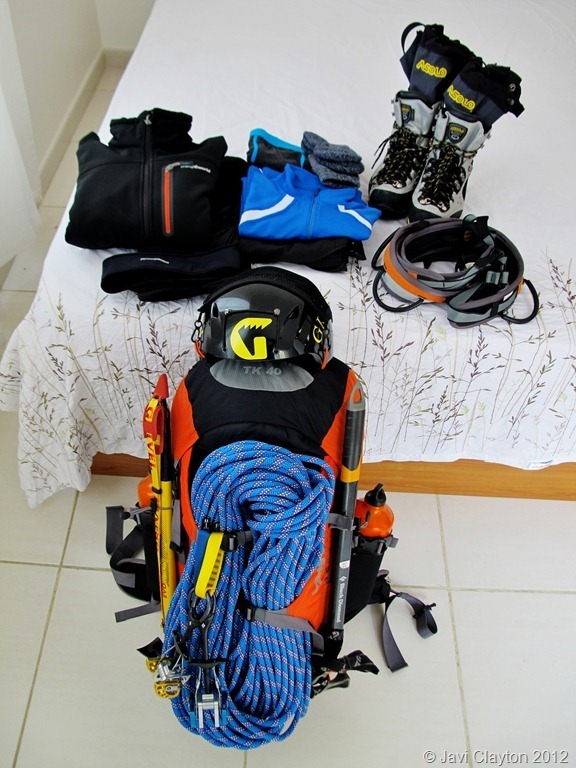 I was lucky to have Adventure HQ allowing me to use such facility to test my brand new equipment for few days before departing to my Khan Tengri Expedition, and I look forward to get help from them again as I prepare for my next extreme challenge. I totally recommend all adventure junkies in UAE to visit the store and sign up for the free Adventure Club membership. This give us access to special member only offers and keep us up to date with cool events, promotions and other benefits. From time to time we get things like 100DHs vouchers! When you live in the desert you realize how important hydration is to perform well on you outdoor adventures. 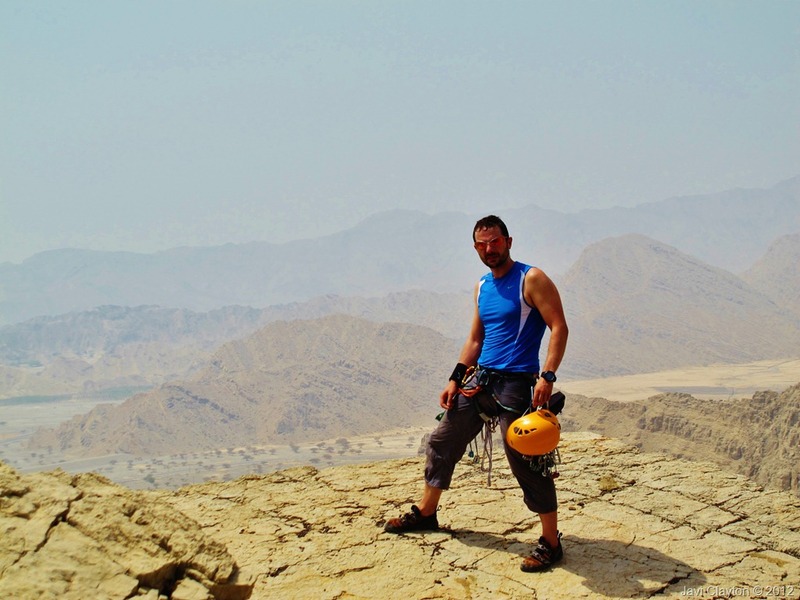 Also performing your outdoor adventures becomes quite challenging if you are not willing to “hibernate” in your AC cooled “cave” in Dubai during the warmest months. As opposed to that, performing your favorite sports under very cold conditions is another joy many would refuse to take unless they know for sure they can return to their comfort zone right away. That is the secret recipe of successful businesses likeSki Dubai, the first indoor ski resort in the Middle East and largest indoor snow park in the World, where people can enjoy freezing temperatures and going back home on the same day through the sandy roads of UAE. Staying hydrated under extremely cold conditions is also crucial and surprisingly difficult if you don’t have the right experience and gear. Many times when you watch the weather forecast or you read it in you mobile phone app, you hear about the Feels Like Index, which normally differs from the actual temperature one can expect to see in the display of your adventure watch. This is a factored mixture of the Wind Chill Factor and the Heat Index. Wind Chill Factoris the apparent temperature felt on exposed skin, which is a function of the air temperature and wind speed. It is always lower than the air temperature, except at higher temperatures where wind chill is considered less important. In cases where the apparent temperature is higher than the air temperature, the heat index is used instead. The Heat Indexcombines air temperature and dew point in an attempt to determine the human-perceived equivalent temperature. The human body normally cools itself by perspiration, or sweating, which evaporates and carries heat away from the body. However, when the relative humidity is high the evaporation rate is reduced, so heat is removed from the body at a lower rate causing it to retain more heat than it would in dry air. Measurements have been taken based on subjective descriptions of how hot subjects feel for a given temperature and humidity, allowing an index to be made which corresponds a temperature and humidity combination to a higher temperature in dry air. At high temperatures, the level of relative humidity needed to make the heat index higher than the actual temperature is lower than at cooler temperatures. For example, at 27°C the heat index will agree with the actual temperature if the relative humidity is 45%, but at 43°C, any relative-humidity reading above 17% will make the Heat Index higher than 43°C. Humidity is deemed not to raise the apparent temperature at all if the actual temperature is below approximately 20°C. Heat index is based on temperature measurements taken in the shade and not the sun, so extra care must be taken while in the sun. Training in Dubai, day or night? Solar radiation can be extreme if there is little humidity to block the sun’s rays. Desert surfaces receive more than twice the solar radiation received by humid regions and lose almost twice as much heat at night. During the summer the temperature in the desert goes to extreme values and the warm air is captured in humid coastal areas like the city of Dubai, where relative humidity levels normally reach the maximum around 12am. At the same time inland desert areas cool down dramatically since the dry air does not capture the heat. According to this, the heat index in Dubai is problematic during both night and day times. And solar radiation hardens the conditions during the day. Both heat index and solar radiation are not an issue at night in desert areas away from the coast. Therefore the ideal training scenario is located somewhere in the desert sometime during the night. If you have to train in the city like I do most of the time, you should consider doing it in the evening after the sunset, and before or after the maximum humidity levels are reached. I normally use wunderground.comto observe these values through the year. Training during the day can lead to Sun stroke (AKA Insolation, Thermic Fever or Siriasis), term applied to the effects produced upon the central nervous system, and through it upon other organs of the body, by exposure to the sun. Training during the night can lead to Heat stroke, which is a form of hyperthermia, an abnormally elevated body temperature with accompanying physical and neurological symptoms. However, when approached correctly, training under warm conditions has its benefits and is known as heat acclimatization training. Opt for the lightest clothing you can find and make sure it can handle the excess of sweat. Some fabrics like cotton tend to absorb and retain liquid preventing evaporation of sweat, thus leading to the risk of heat stroke. On some good training clothes made of synthetic fabrics you can easily see the sweat dripping from specifically designed areas, and when you finish the training session they dry out quickly and do not retain odor. Water makes up about 70 percent of the muscles, organs, and solid tissue in the body and is crucial to many of the body’s processes. Dehydration negatively affects such functions as eliminating toxins, delivering nutrients, carrying oxygen to the cells of the body, producing energy, and lubricating joints. Dehydration can impact proper balance of vital electrolytes, such as sodium and potassium, which are also essential to healthy functioning of the body. The body normally generates heat as a result of metabolism, and is usually able to dissipate the heat by either radiation of heat through the skin or by evaporation of sweat. However, in extreme heat + high humidity + vigorous physical exertion, the body may not be able to dissipate the heat and the body temperature rises, sometimes up to 41°C or higher. The main cause of heat stroke is dehydration. A dehydrated person may not be able to sweat fast enough to dissipate heat, which causes the body temperature to rise. There are different methods to diagnose dehydration, such as a complete blood count or urine specific gravity tests. But when we are up in the mountains the only and best method is using common sense, and thirst is the first indicator of dehydration. 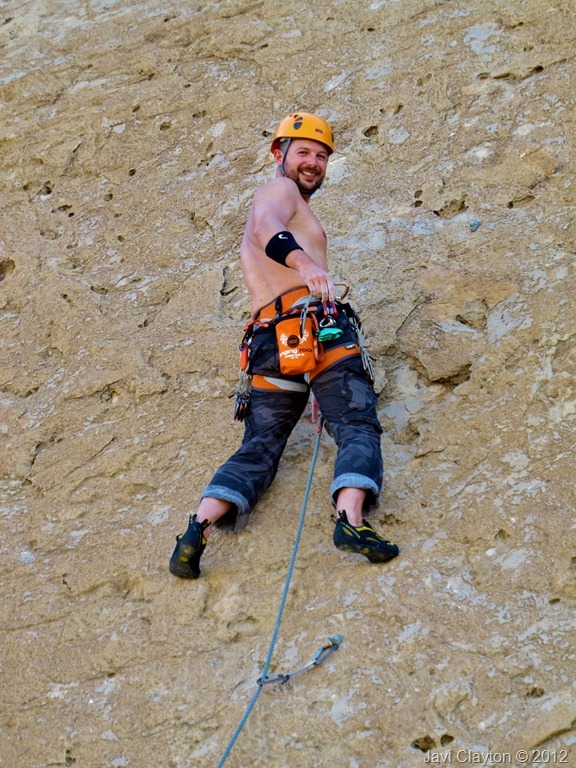 A properly hydrated climber drinks small amounts of water constantly so that thirst do not manifest as symptom of dehydration state. Other indicators are dry mouth, decreased urine output and increased urine osmolality (concentration of particles in urine), dry skin, headache (especially in the morning) or constipation. I personally pay extra attention to the color or my urine. Lightly colored urine is produced under normal hydration (euhydration). 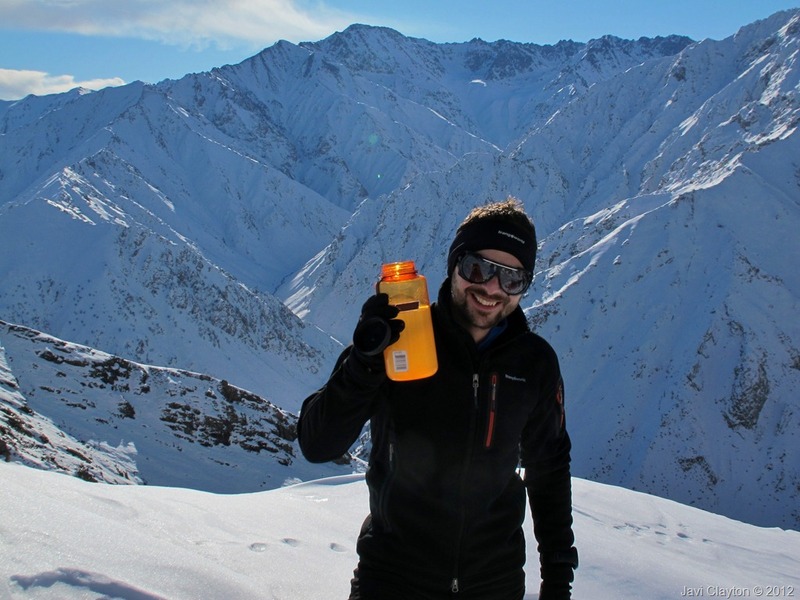 Completely clear urine indicates hyperhydration, which might become an issue in high altitude especially for people prone to develop AMS (Acute Mountain Sickness). Too little and highly colored urine reveals hypohydration (dehydration). At high altitude it is normal to be urinating more than usual. That is due to some changes taking place in the body’s chemistry and fluid balance during acclimatization. The osmotic center, which detects the “concentration” of the blood, gets reset so that the blood is more concentrated. This results in an altitude diuresis as the kidneys excrete more fluid. If you are not taking a leak frequently during your ascent, it’s a clear indicator you may be dehydrated, or you may not be acclimatizing well. The most effective solution for the latter is the treatment with acetazolamide (Diamox®). This is a medication that forces the kidneys to excrete bicarbonate, triggering some effects that will help on acclimation and fighting AMS. Since acetazolamide works by forcing a bicarbonate diuresis, you will urinate more on this medication. At extreme altitudes the digestive system becomes inefficient, and it’s crucial to get rid of the toxins, therefore we should pay extra attention to visit the loo to make water and all the rest regularly. A proper hydration will facilitate the formation and displacement of sediments in the intestines. Many people confuse the symptoms of dehydration with altitude sickness, but at moderately high altitudes dehydration is responsible for more illness than oxygen insufficiency. There are different reasons why people dehydrate faster at high altitude. With lower pressure, moisture from skin surface and lungs evaporates faster, sun and wind exposure is also higher, accelerating evaporation. Relative humidity is generally low at high altitude, which facilitates perspiration during periods of intense physical activity. With lower oxygen levels, breathing patterns change and bigger amounts of moist are exhaled. And there are many factors that make rehydration difficult at high altitude. Water sources are generally limited and they have to be transformed from solid states and treated to prevent illness. As a rule of thumb during my expeditions I never drink water from springs or rivers. On short trips the presence of virus or parasites in the water is not a big point of concern, but when I’m embarked in a long and demanding expedition I always take the precaution of filtering and purifying drinking water. Once the water is prepared, it has be stored and carried up the hill. In certain situation this becomes sort of a challenge. During alpine ascents the amount of gear carried up the hill has to be reduced to the bare minimum and sometimes we have to restrict the amount of bottled water we take with us. Also we have to be precise with the amount of fuel to transport since this will determine the amount of water we can prepare throughout the ascent. Under very cold weather conditions, preventing the water from freezing is also very challenging. Many times we find ourselves with plenty of solid water stored in our heavy backpack, that has become totally useless, and we can’t even get rid of it! To sum one more difficulty to the process of being hydrated, it worth mentioning that many people do not feel as thirsty in higher altitudes as they should. Besides that, we are normally busy with the technical aspects of the ascent, therefore we cannot get easy access to our water bottles, we tend to forget about drinking, and we dehydrate unconsciously. In future posts I will go through some tips & tricks I use in my expeditions to process, disinfect and transport water. I will also explain which products can be used to improve the water characteristics, helping keep body chemistry in balance and accelerating recovery. No time to melt ice, and your tongue gets stuck! I’ve been enjoying outdoors since I was given to birth. My parents were raised on the country side and they moved to the big city to start a new life and build a family. We used to escape from the city every single weekend, expending time in the nature with cousins as a big outdoor loving family. Then I became a mountain bike freak, before I discover my true addiction: mountain climbing. One of my first pieces of gear I’ve got was an original Buff®. Original because by that time it was a very innovative headgear and no one else in the market was producing something similar. My friends used to wear regular winter hats, neck gaiters and balaclavas, but I was an enthusiast of all-in-one clothing and thus I was always substituting these items with my original Buff®. Original Buff S.A. is a company established in Igualada, a small city 60km from Barcelona where they created the first multi-functional, seamless, tubular headgear in the Buff® brand. In 1995, it began to export to diverse European destinations. Currently, 80% of sales are in exports to over 60 countries through exclusive distributors. 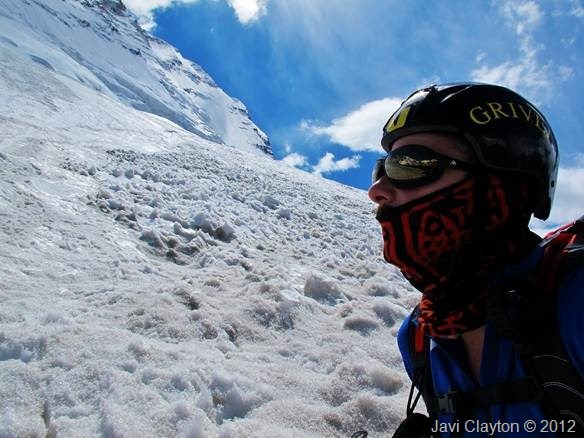 One of them is Global Climbing, and they are the only distributor for original Buff® in UAE. Buff® can be worn in loads of different ways: as a scarf, cap, headscarf, facemask, balaclava, headband, wristband… and that is in my opinion the success factor of this very well know product worldwide. Also the product is available in hundreds of colors and designs like the UAE flag or the traditional Ghutra that many Arabs wear in their heads. On top of the original Buff®, the company has developed very innovative designs to better accommodate to specific people and usage. They have the WOMEN SLIM FIT BUFF®, one made of REFLECTIVE material, INFINITY LYOCELL long and soft made from eucalyptus wood, WOOL BUFF® made from 100% natural Merino, POLAR versions for very cold weather, HEADBAND, HOODIE BUFF® a stylish and superbly comfortable hooded garment, VISOR BUFF® which mimics a cap, STORM and CYCLONE BUFF® incorporating the amazing Gore Windstopper®, and HIGH UV PROTECTION BUFF® made from CoolMax® Extreme fabric to block 95% UV rays and wick sweat quickly away from skin. My experience with Buff® has always been fantastic, and after years the last two models are the ones I pick for my outdoors activities these days. 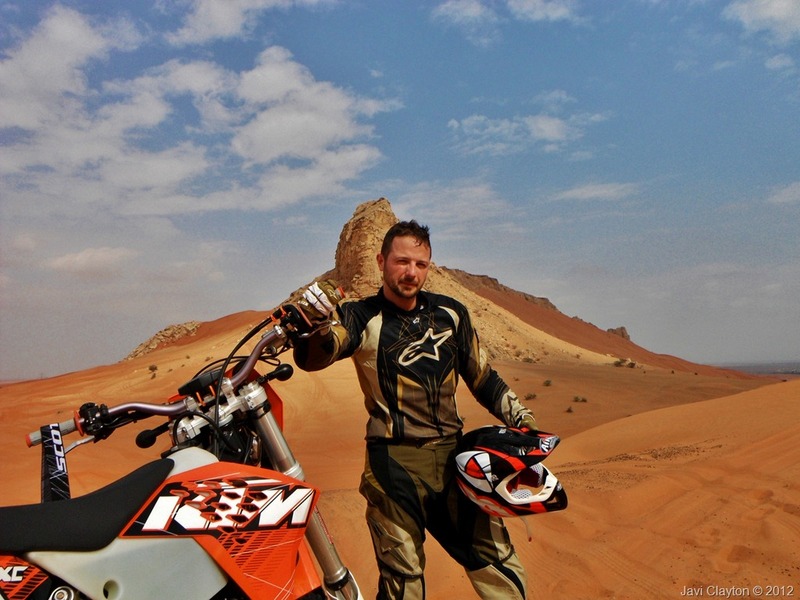 CYCLONE BUFF® is an essential piece of gear whether I’m riding my motorbike in the cold winter in Spain or climbing high mountains somewhere like Nepal. It has two sections, the top with two layer microfiber and the bottom with Gore Windstopper®. The top section is elastic and soft for better fit and comfort, and the tow layer microfiber system has amazing thermal characteristics and works incredibly well keeping the humidity away from the skin. The bottom section has a very wise design: It’s actually made of two different materials, Gore Windstopper® in the front, which today is a standard on wind protection, and a very warm and comfy Polartec-like fabric in the back. The front section is slightly longer going all the way down to the chest, while the back is more elastic. This fantastic design allows the Buff® to seal all around your neck without restricting movement and giving the maximum protection to the front, which is ideal when riding my bike at high speeds while the thermometer drops. Both sections incorporate POLYGIENE® and Active Odor control technologies, allowing all fabric to stay fresh, and believe me, after a month hiking and climbing in Nepal without showering at all, you’ll really appreciate this… Try to go with one of the Chinese versions of Buff® and even the Yaks will stay away from you on the trail! We all passionate mountaineers know how important is to keep certain areas of our body sealed to prevent the heart from escaping. There are three key areas to protect, and most newbies forget about them and focus mainly on chest and hands. Most of the heat then tends to scape around the neck, wrist and sculp. These areas are highly irrigated by small capillaries and although it is a myth “40 to 45 percent of body heat” is lost from the head, it’s equally important to protect these areas along with chest and hands. 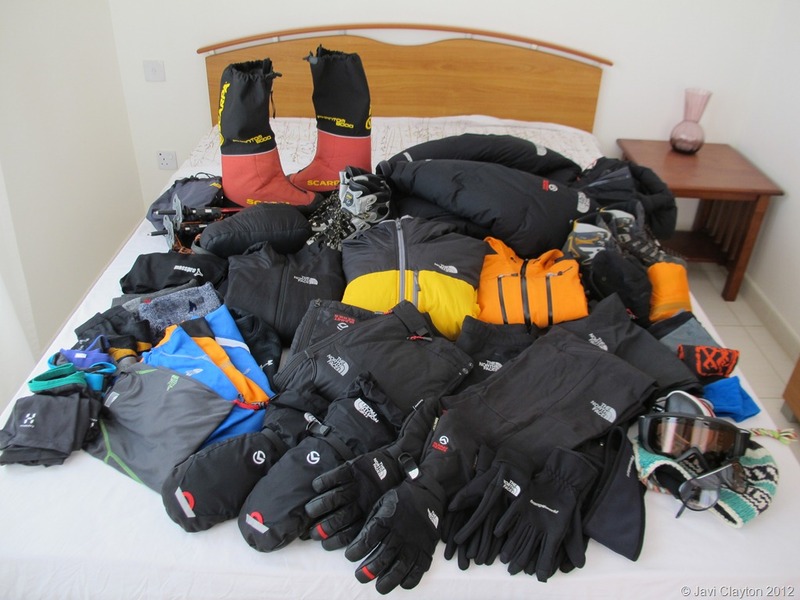 We also understand how the conditions change from one minute to the other up in the hill, and you need flexibility in your gear to quickly accommodate and prevent overheating and consequent dehydration. That´s why using a balaclava or regular winter hat doesn´t look ideal to me. You have to put it on and off all the time, store in a pocket where it might blow away or you lose it while the conditions are taught… With original Buff® you go from one fitting to other in just one second in order to protect different areas and accommodate to climate conditions. If fits perfectly well under a helmet, and doesn´t feel itchy even after weeks of sweating it out. 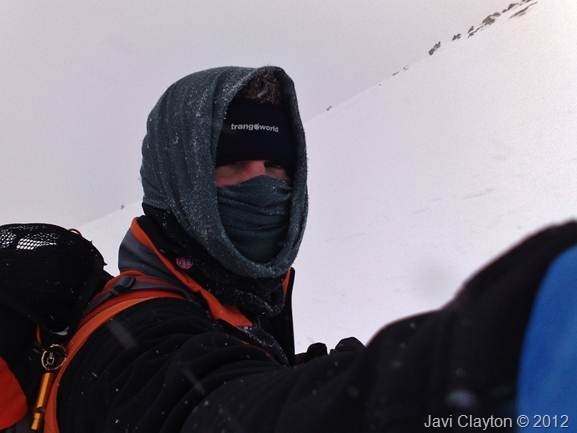 HIGH UV PROTECTION BUFF® is my second choice for outdoor activities in the desert or icy mountains. Having to apply high UV protection ointments in your face over and over again is just a hassle you tent to avoid, and then is when problems arise… I´ve just had small surgery done in my left ear to remove a very suspicious lump that was taken under histology to discard skin cancer. Applying full protection sunscreens when you wear globes is not easy (although I have some tricks I´ll explain a separate post) and you are never 100% sure you left some portions of skin exposed, such as ears or nostrils, which commonly are the body parts all of us burn over and over again. The UV Buff® is made from CoolMax® Extreme fabric, which has the ability to block 95% UV rays. This popular fabric is extremely breathable, allowing you to cover your face and mouth even when you are performing cardio intensive activities and you need to respire heavily. In summary, it’s been many years performing all sort of outdoor activities, and my original Buff® is a piece of gear I trust 100% and I will definitely take with my to the highest mountains on Earth. This is one of my favorite quotes from my Famous Luck Quotes Collection. I’m so tired of hearing friends and family saying how lucky I am, that one day I decided to put together a bunch of luck quotes and shared then on my social networks on a daily basis. Preparedness and Opportunity are two concepts that I want to blog about in this forum. 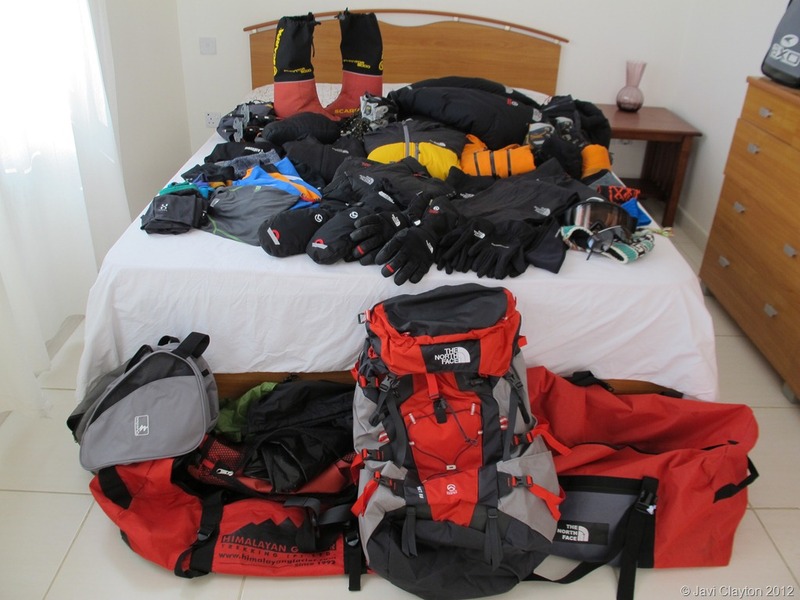 In this blog I want to talk a lot about preparedness for big expeditions. So what an expedition is all about? A – Getting up to the top of one peak by using one specific technique and style previously selected according to different factors, mainly our technical expertise, but also how we want our success to be rated based on how previous summits to the same peak were achieved.